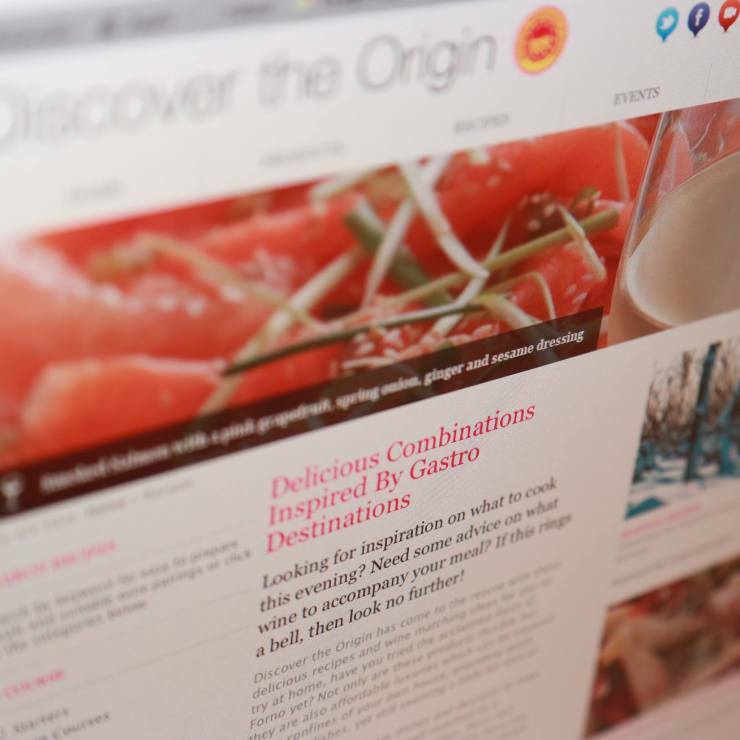 A wide selection of recipes and wine suggestions were available on Discover The Origin. 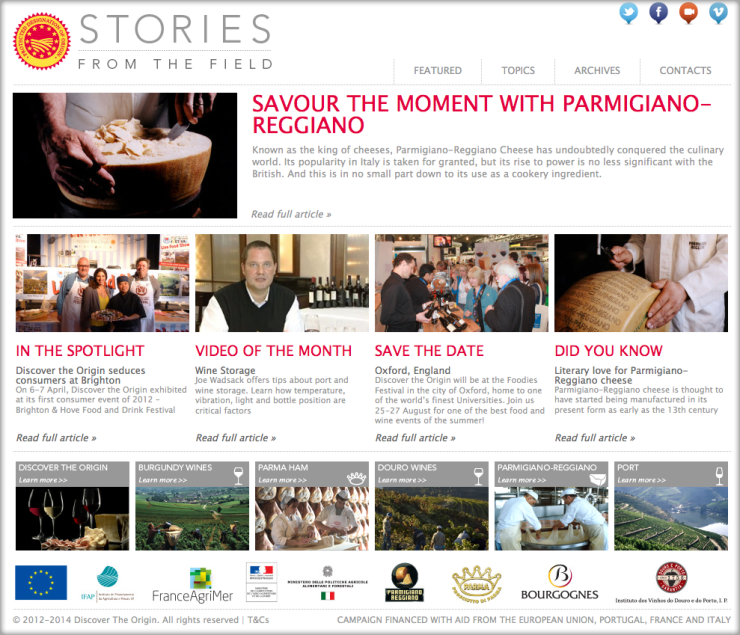 Stories From The Field, the magazine site that accompanied Discover The Origin. Full recipes, as well as seasonal downloadable recipe books were available. 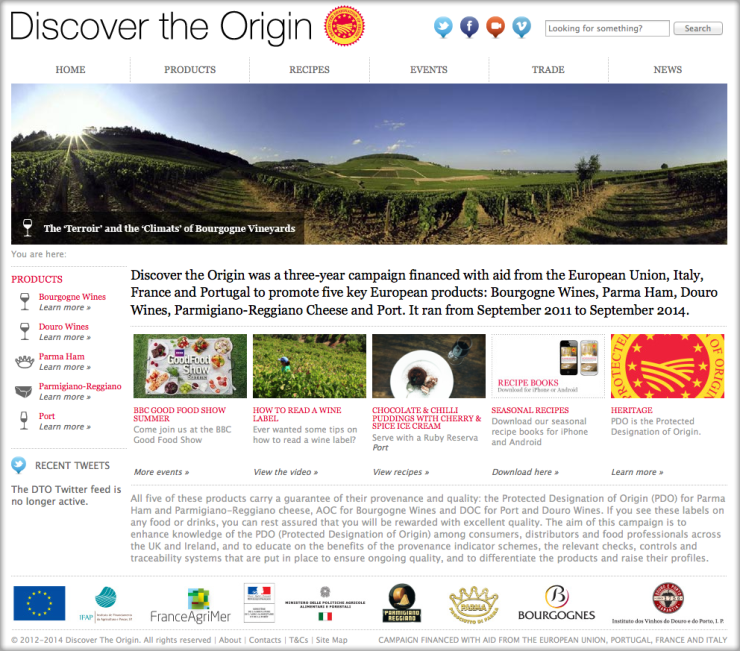 The delicious products promoted via Discover The Origin. 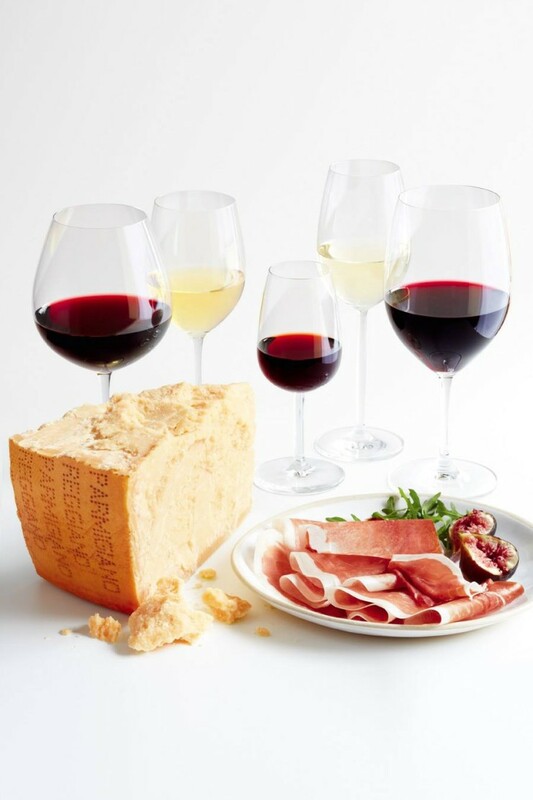 A web resource, commissioned by a consortium of European food and wine producers, containing information about their products. DFML was commissioned by global comms agency Fleishman-Hillard to work with their in-house PR, media and design teams to deliver and maintain two sites for the duration of the three-year campaign. 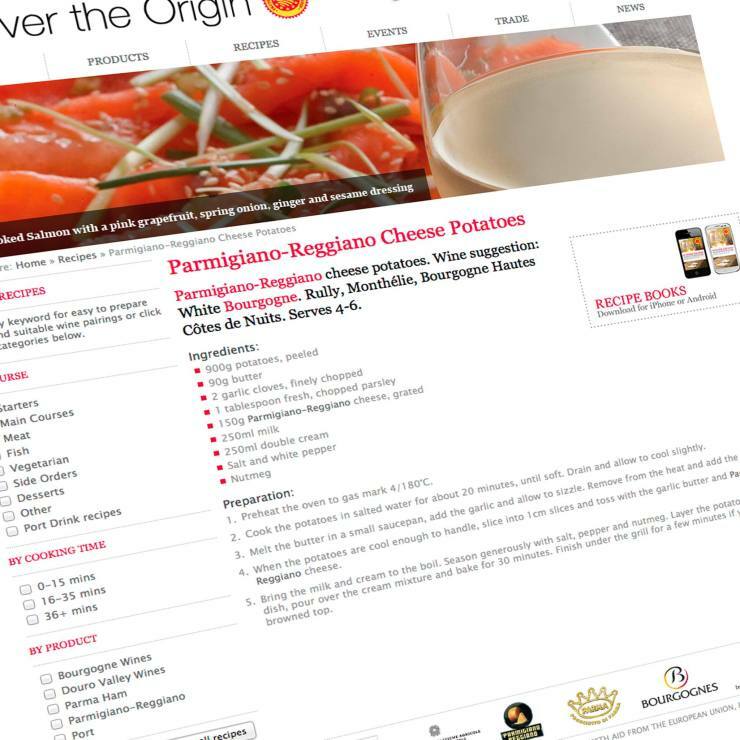 Site one (“Discover The Origin”) was an information and recipe resource, highlighting varied food and wine pairings, with randomisation (where possible) to ensure that sections of content did not become ‘forgotten’. Site two (“Stories From The Field”) was planned as a membership-driven site, with batches of five feature articles produced on a bi-monthly basis to form a mini ‘magazine’. Site maintenance and upgrades, etc. DFML currently hosts demo versions of both sites (they were shuttered at the end of the campaign in October 2014) running with cut-down content on our servers. Discover The Origin and Stories From The Field. We couldn’t bear to see all the lovely recipes on the main site go to waste!